In a tweet on Sunday, a Fox News reporter said Apple's upcoming next-generation iPhone will sport a significantly faster "A7" processor, while a separate chip will be dedicated to motion tracking. Citing inside sources, Clayton Morris claims the so-called "iPhone 5S" will be powered by an Apple-designed "A7" system on a chip that is some 31 percent faster than the current A6 silicon used in the iPhone 5. In addition, mention of a totally new chip dedicated to "motion tracking" will be used to bring another layer of user interactivity to Apple's flagship handset. 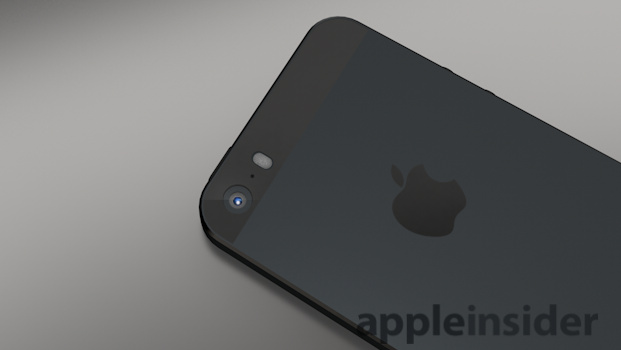 A 31 percent bump should be noticeable to future iPhone 5S owners in day-to-day use. It is unknown what metrics were being used as a basis, an important question given an applications processor's architecture includes both the number-crunching CPUs and graphics driving GPUs. It is largely unknown how Apple is managing to squeeze out the extra horsepower, though analyst Ming-Chi Kuo of KGI Securities noted in a recent report that a move to the ARMv8 architecture could yield a 20 percent increase in efficiency. In that same note to investors, Kuo speculates that Apple could offer 64-bit support in the A7, which would theoretically allow for greater speeds. As for the motion tracking feature, Morris said in a follow-up tweet, "Ive also heard theres a separate chip devoted to motion tracking. Should be an interesting camera upgrade." It would appear from the tweet's wording that the unknown chip would be part of the iPhone's camera package, perhaps as a special post processor. Apple owns a number of patents regarding post processing techniques, including a few that interpolate camera sensor data for tasks other than outputting an image such as "gaze detection." Some of these patents include a separate chip, usually disposed on the sensor module's circuit board, to handle processing duties. Apple is expected to announce the iPhone 5S at a special event on Sept. 10, possibly alongside a lower cost plastic handset dubbed the "iPhone 5C."